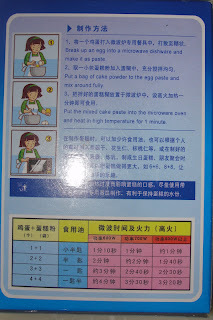 The Ransoms in China: A one minute microwave cake! Today at the store, we saw this! 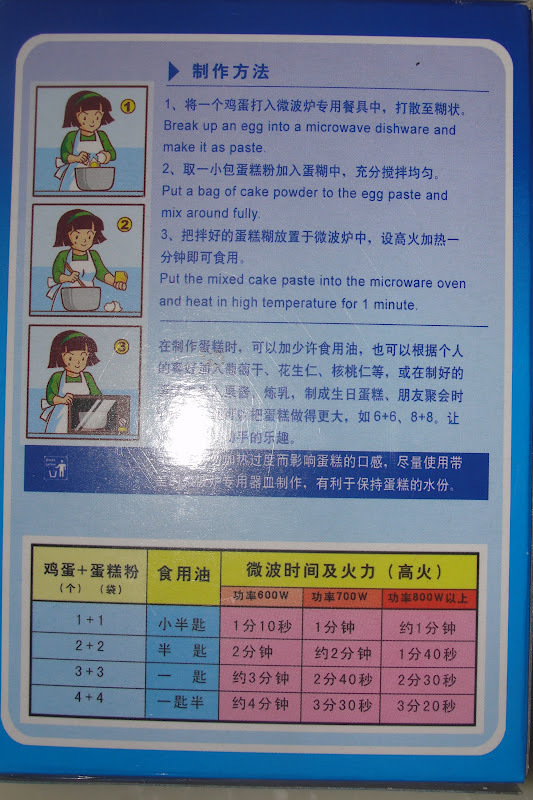 It's an add one egg..put in the microwave for one minute cake. We laughed, but just had to try it. We mixed the egg into a "paste"
It looks discussing, but is not all that bad. It will be a good snack for the boys!